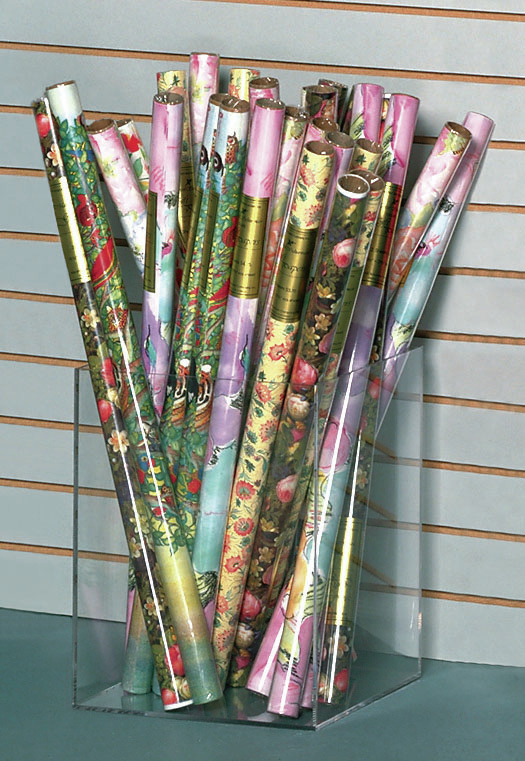 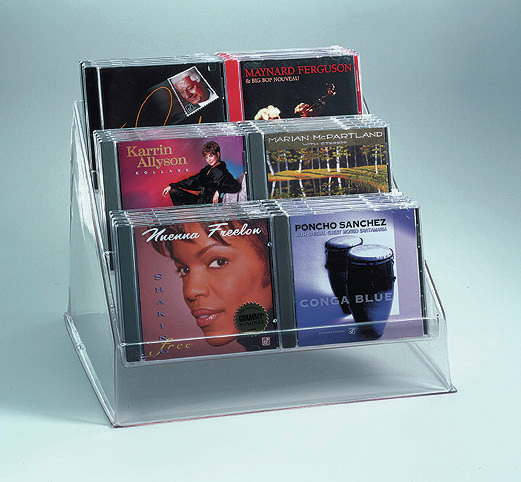 Mr. Plastics has designed and marketed an array of stock display products under the Mr. Plastics name and their Plastic Works brand. 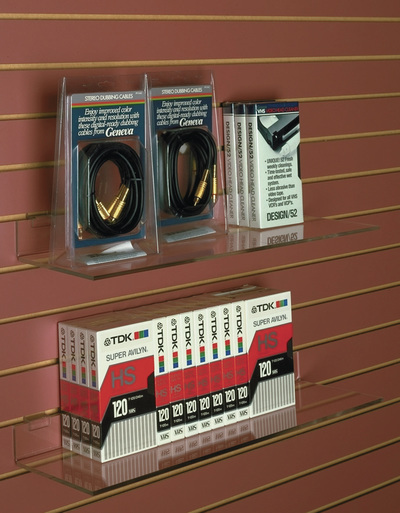 Our e-commerce site is under construction, so if there's anything you see (or don't see), please call one of our sales staff to help you find what you need. And, remember, if we don't have a stock item that fits your needs, we can custom design and fabricate a display that works best for you. 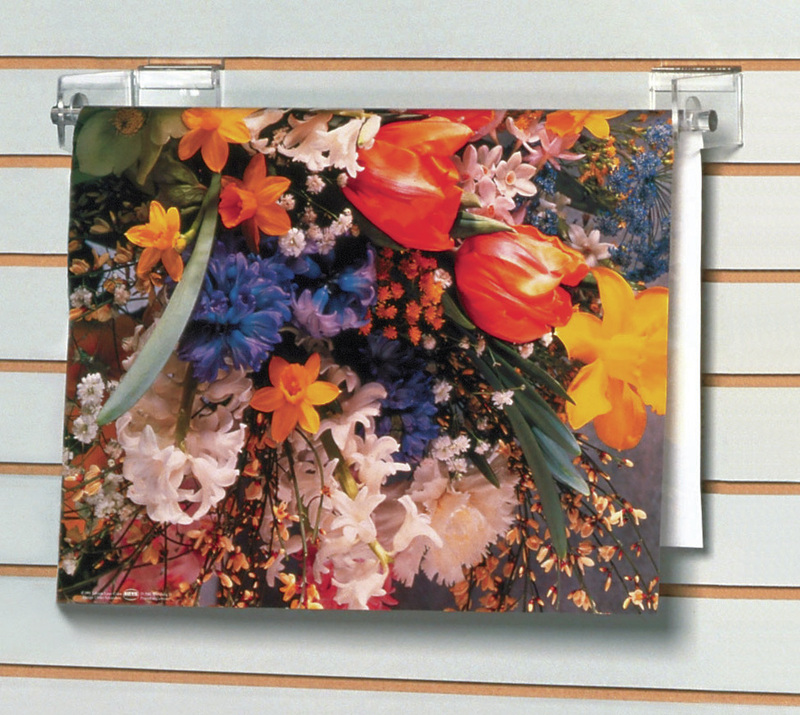 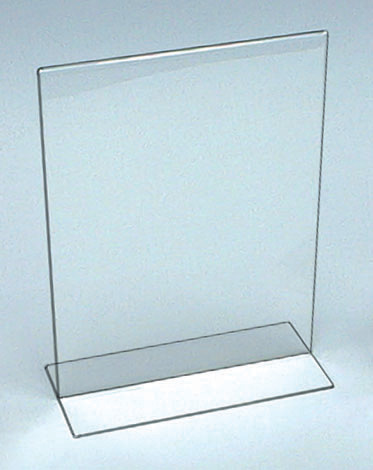 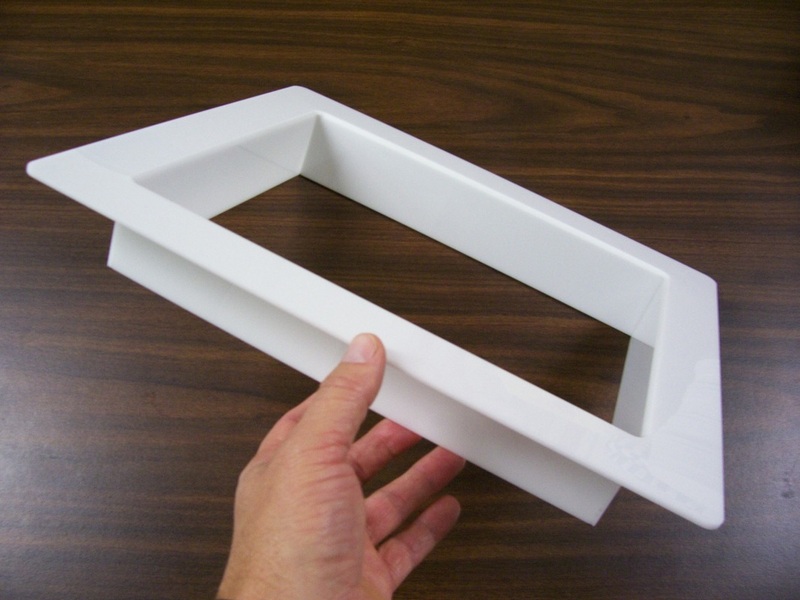 We have an array of countertop displays in clear, black & white. Add back signage with a simple 'H' clip! 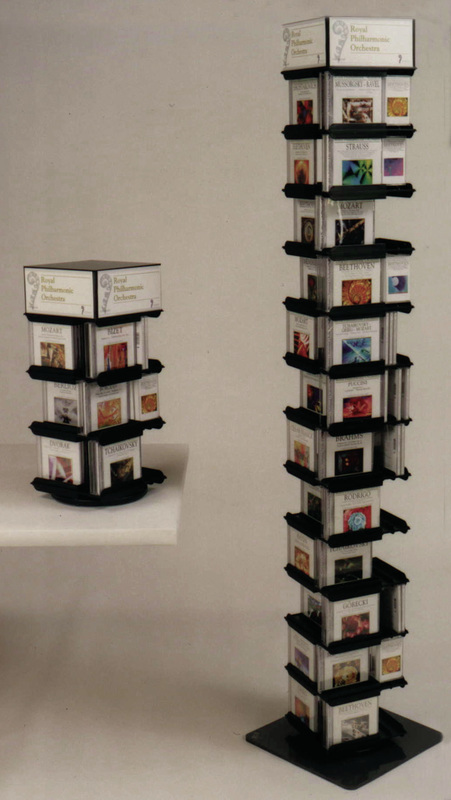 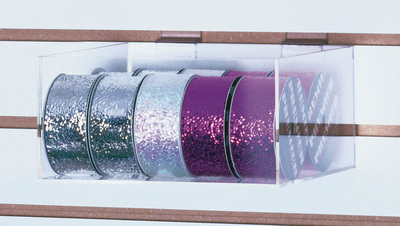 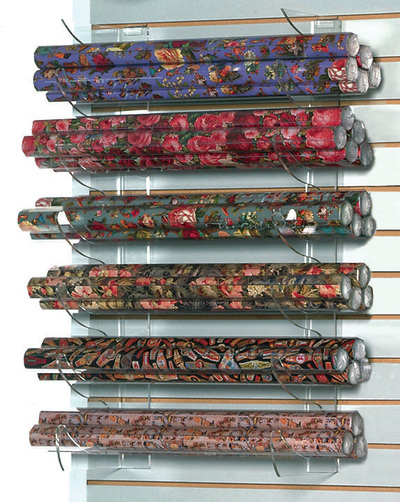 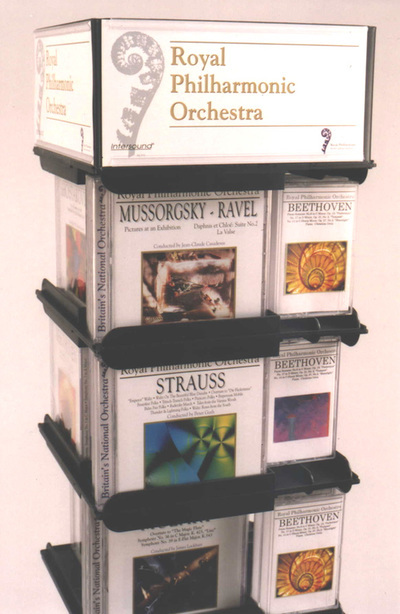 Versatile card racks come stock in 4- and 6-tier models. 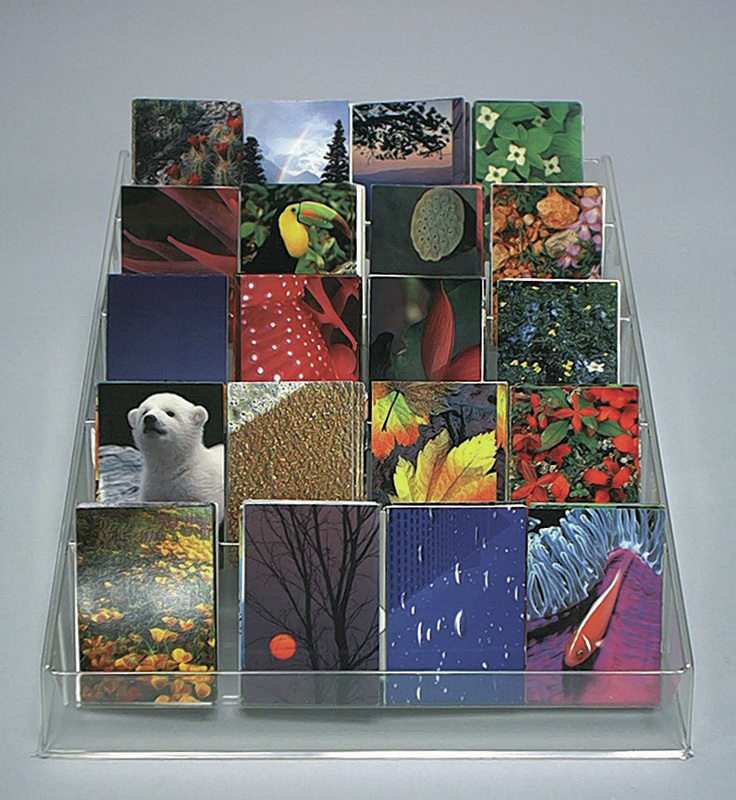 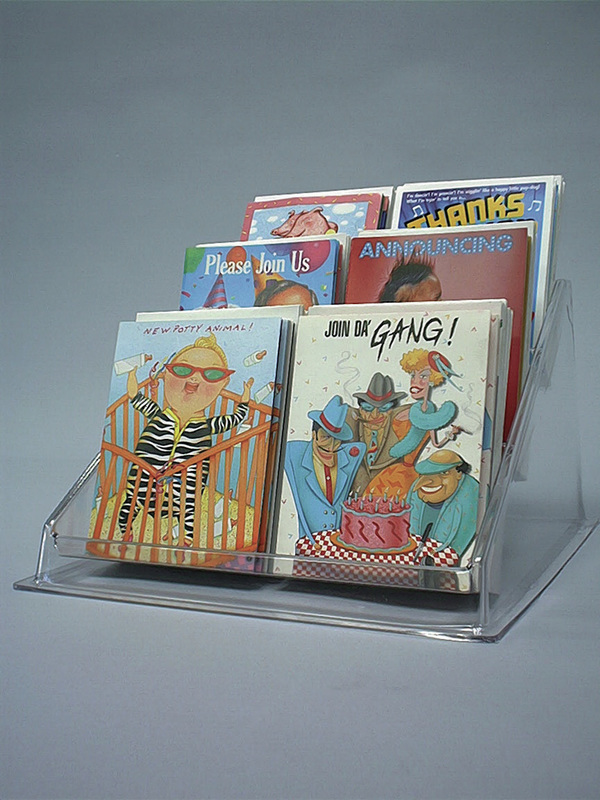 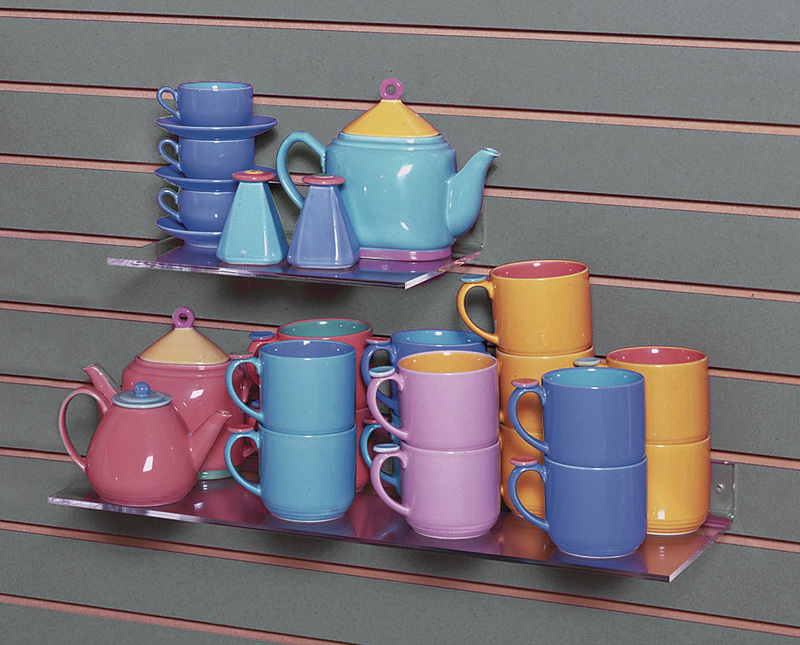 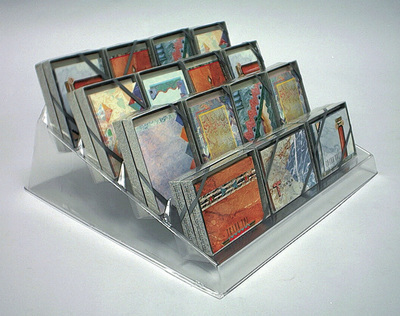 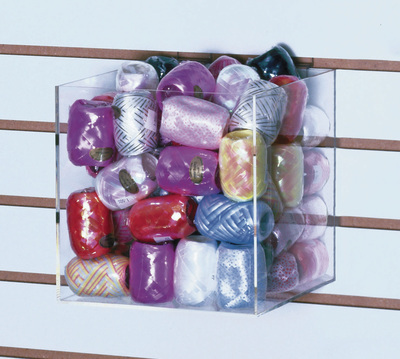 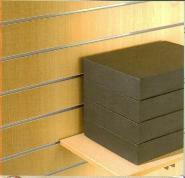 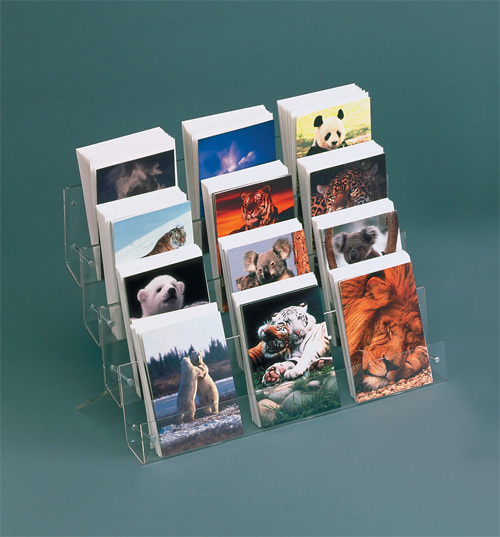 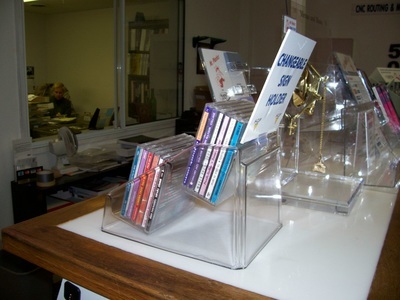 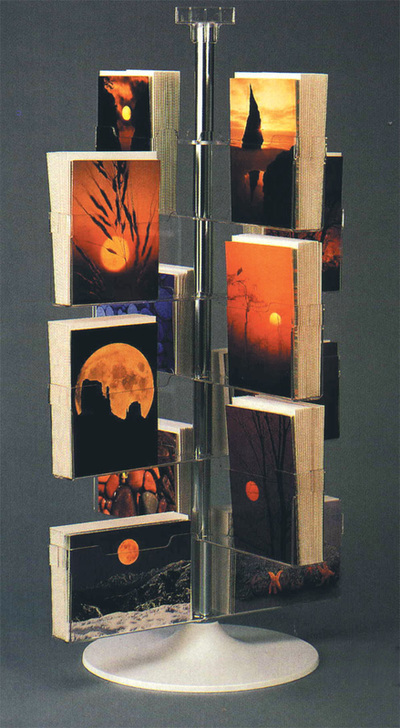 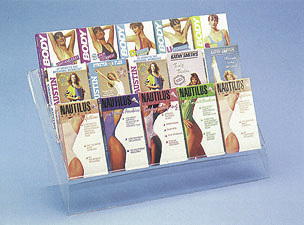 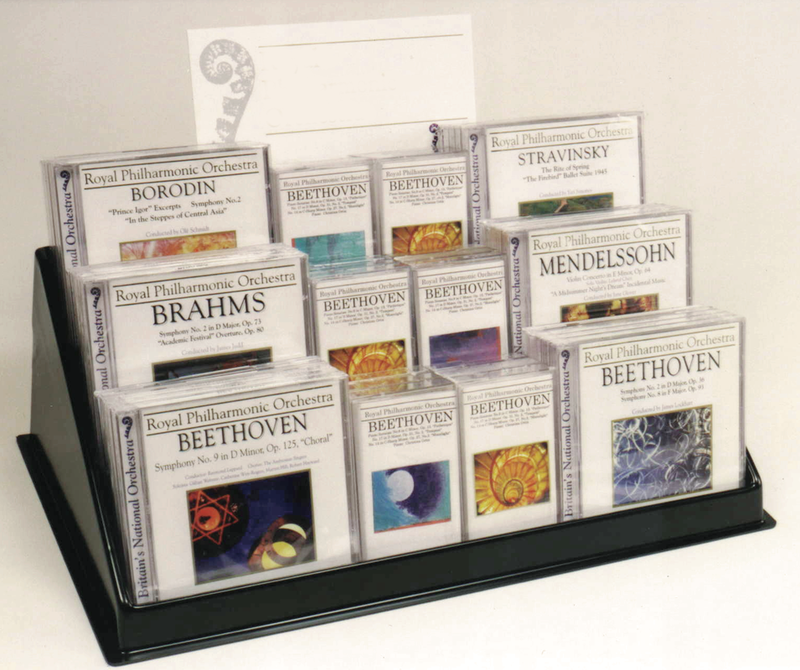 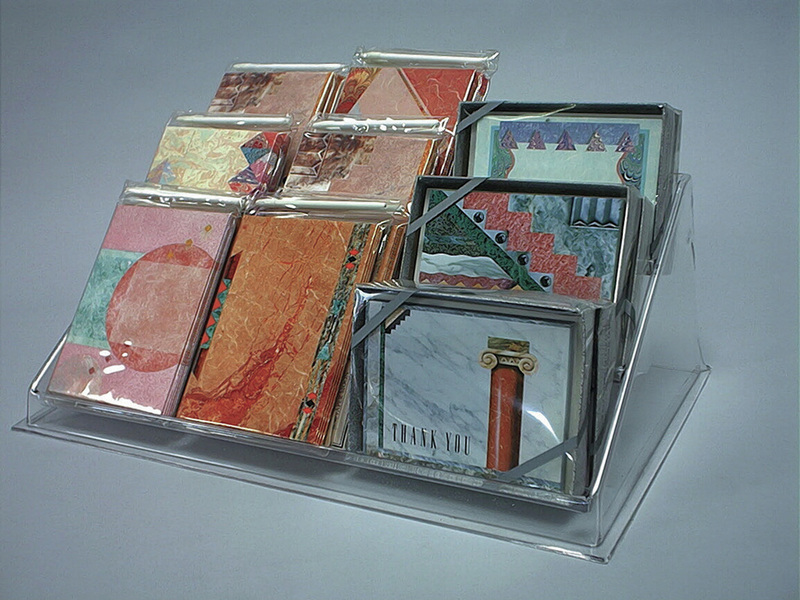 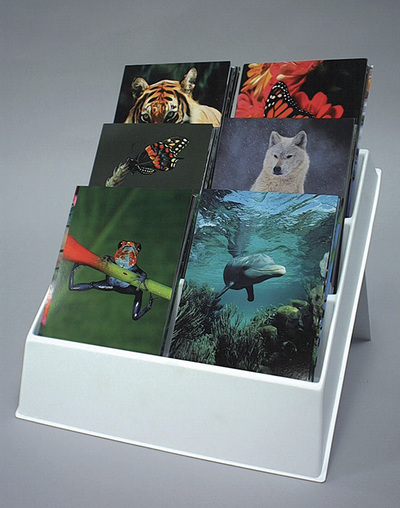 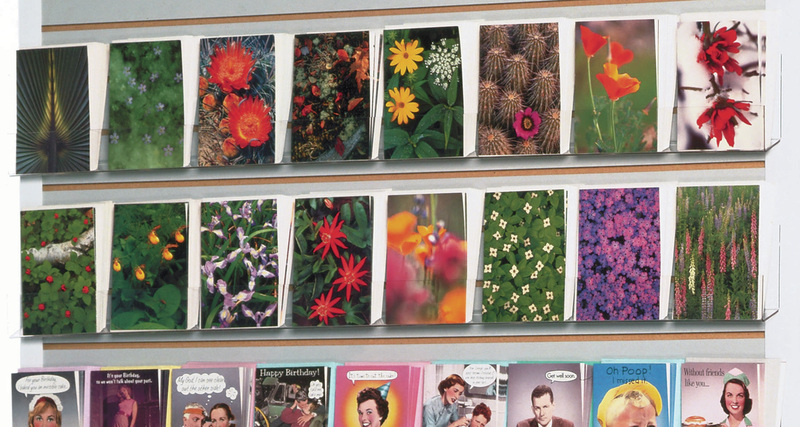 This card rack can be configured for counters or walls. 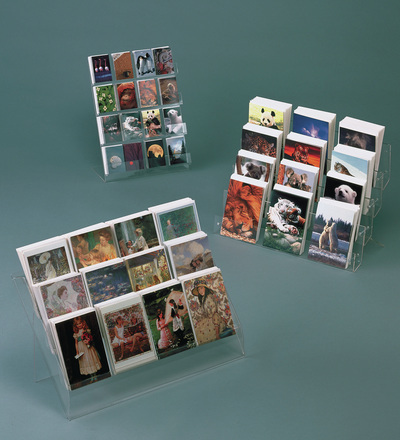 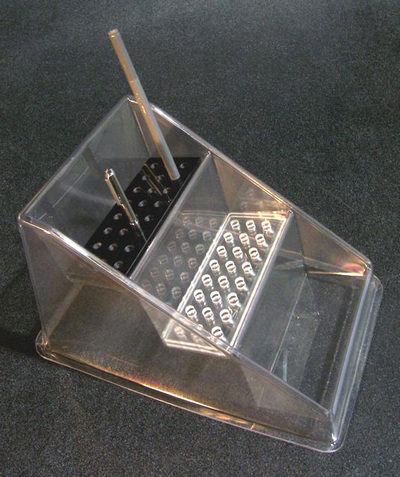 Small book easel can support a number of items for display. 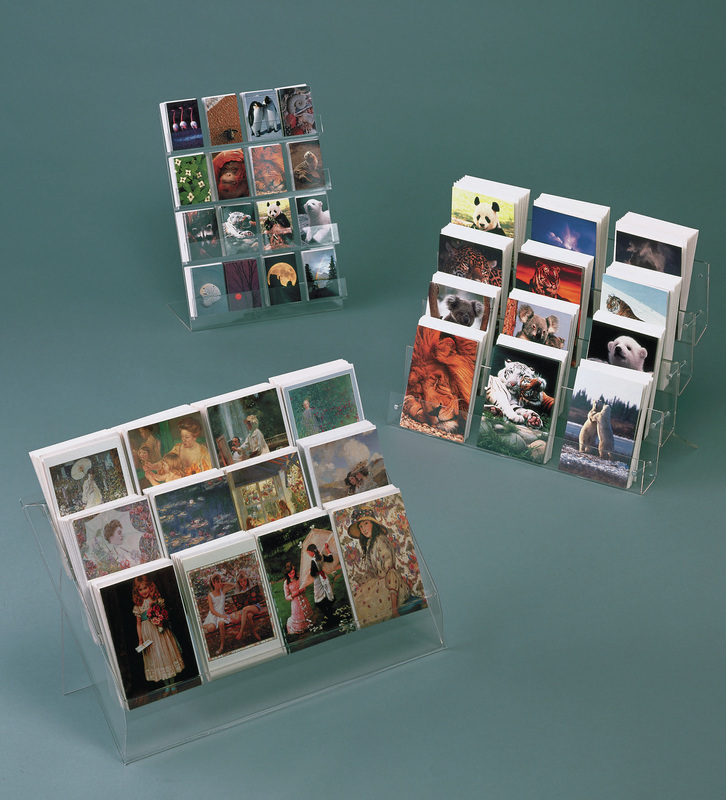 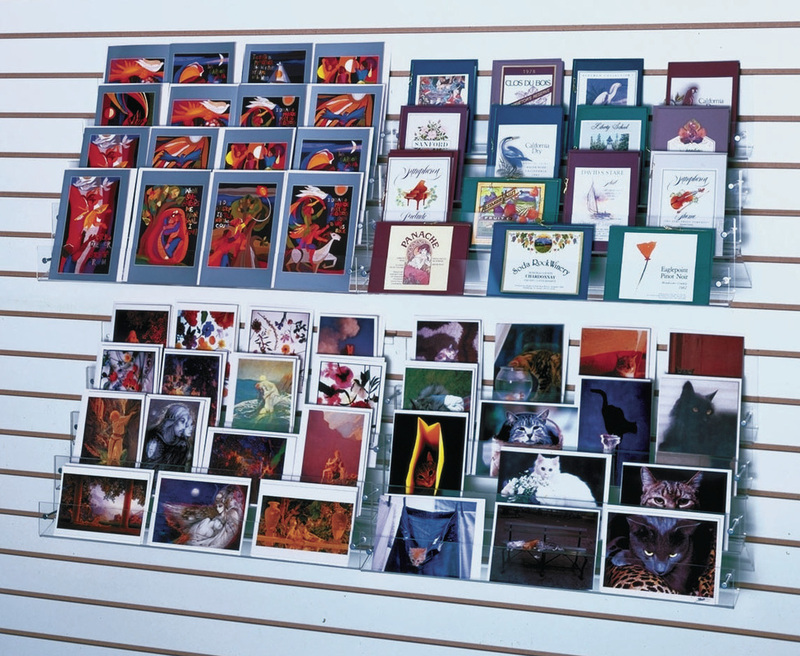 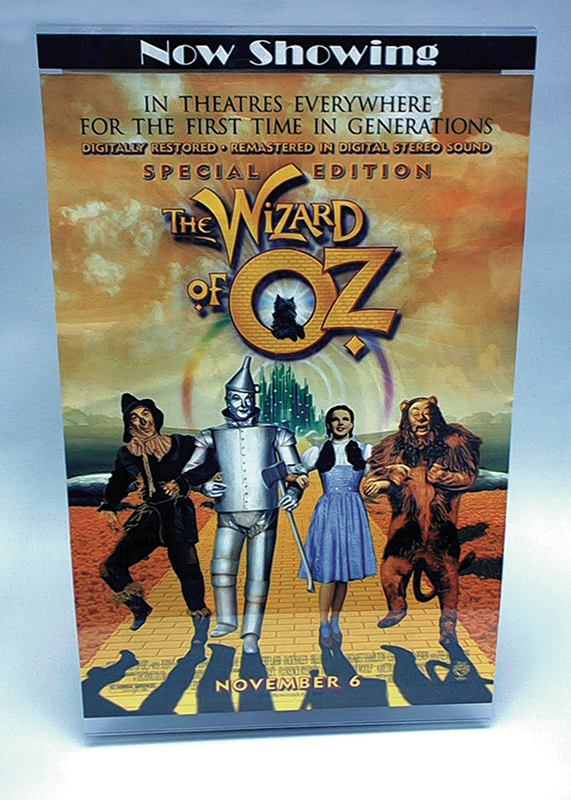 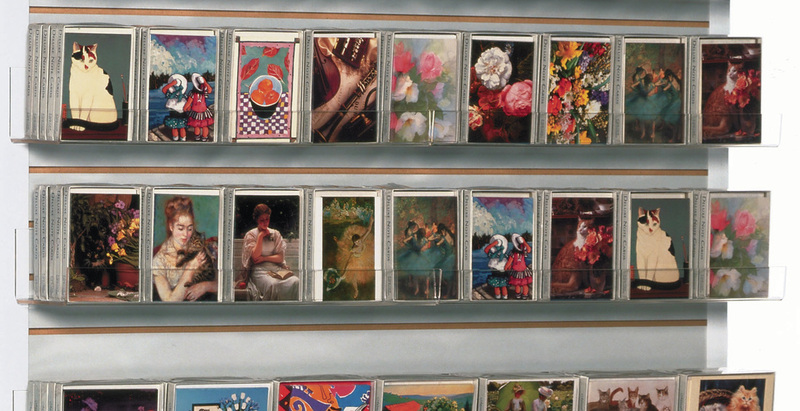 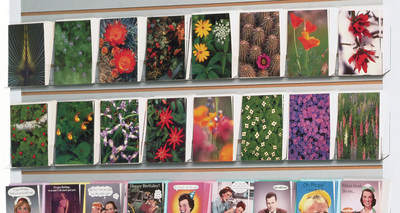 Clean displays can display cards and other items of all sizes. 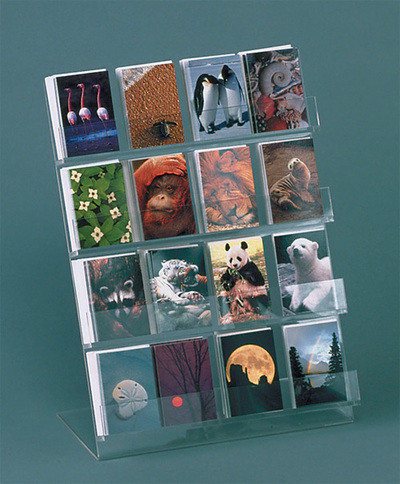 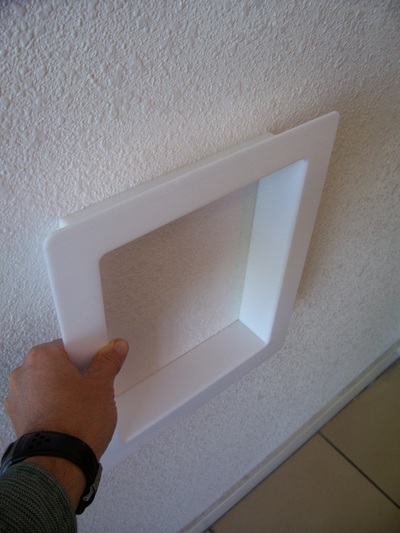 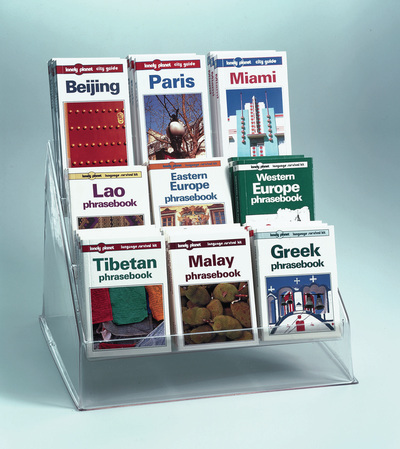 Enclosure Card Display - 1" pocket depth for 16 faces. 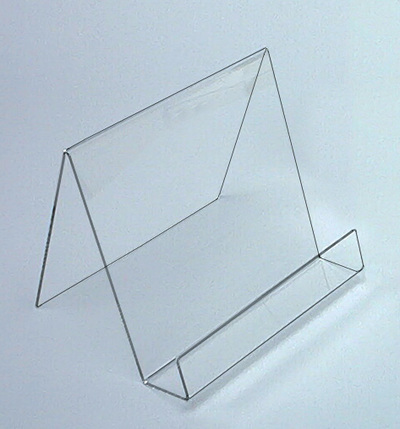 'J' Easel in two sizes: widths of 8" or 5.25" in clear acrylic. 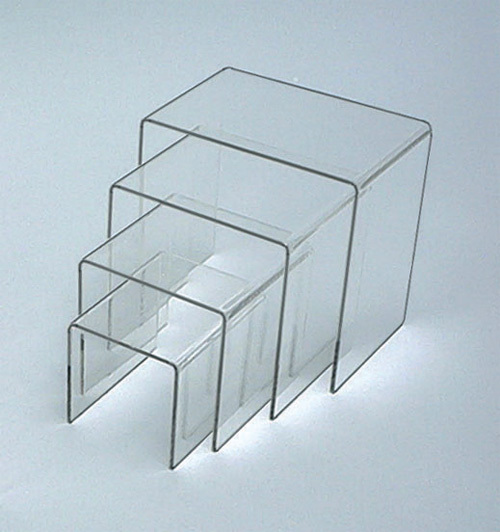 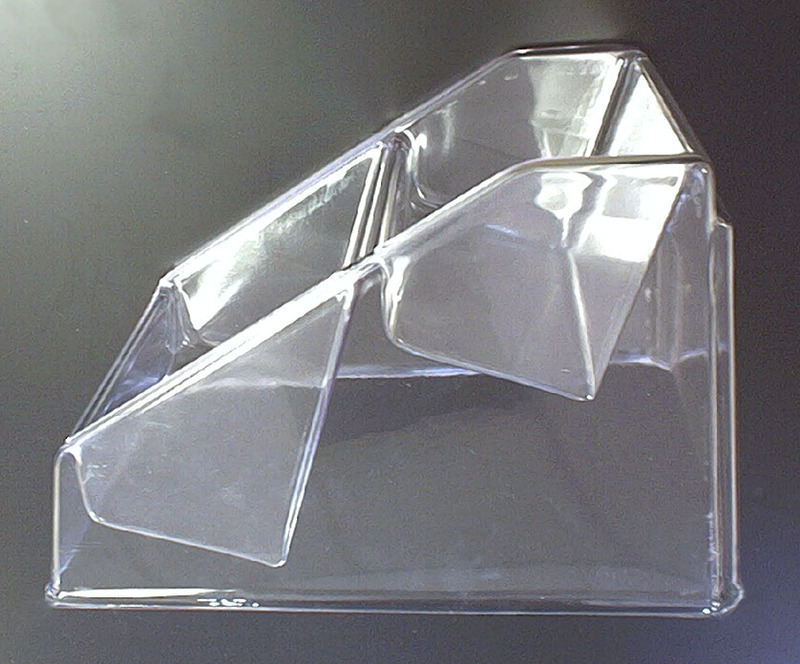 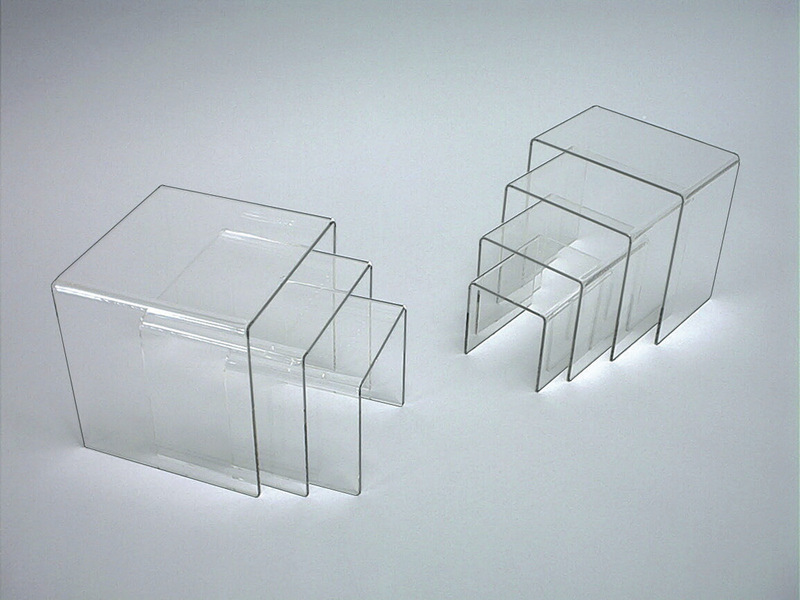 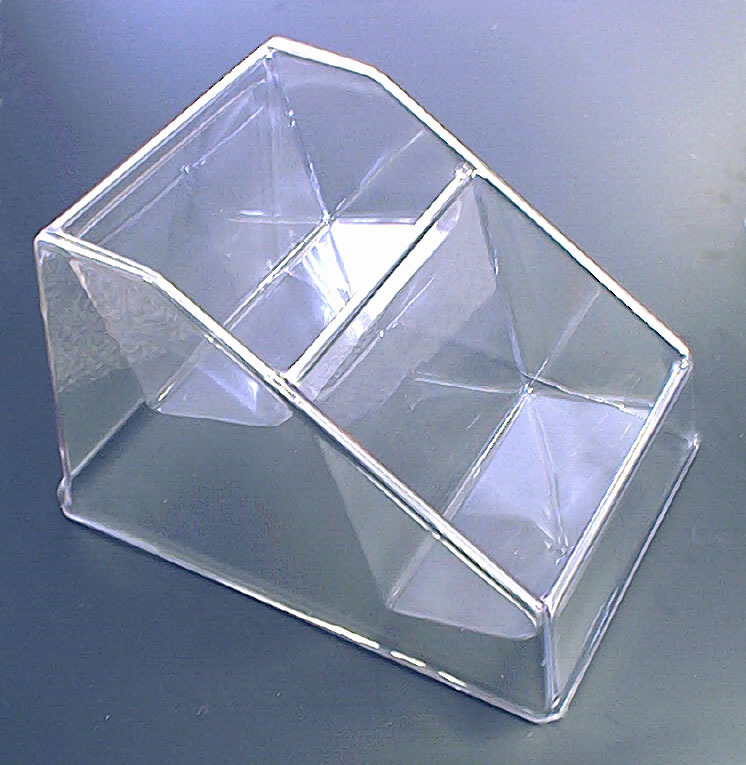 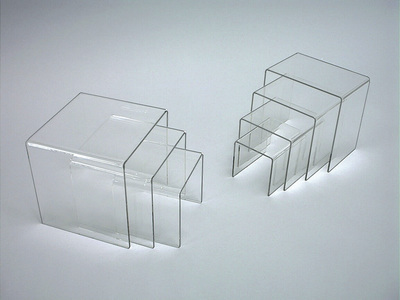 1/8" Riser Set: 3", 4", 5" and 6" in clear acrylic, 1/8" thick. Available as a set or individually. 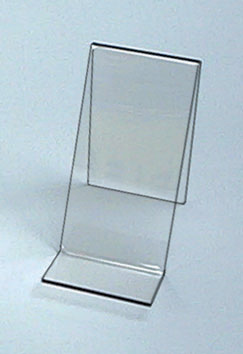 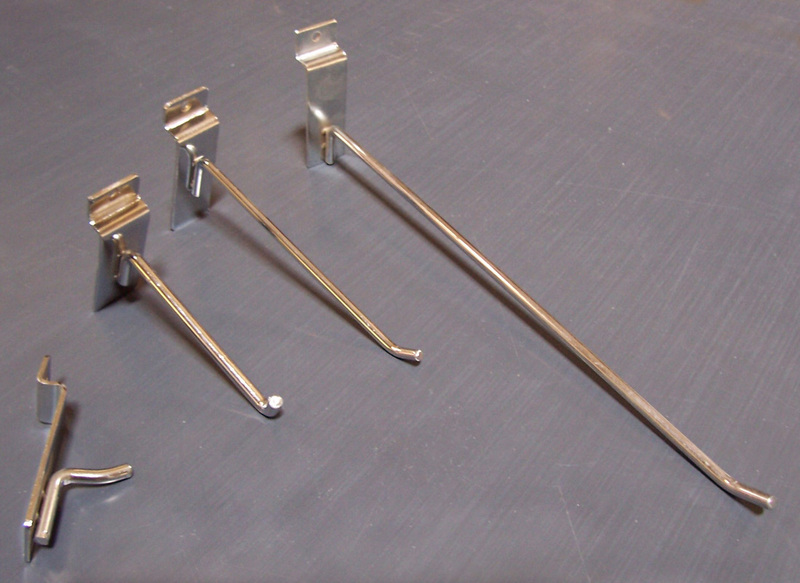 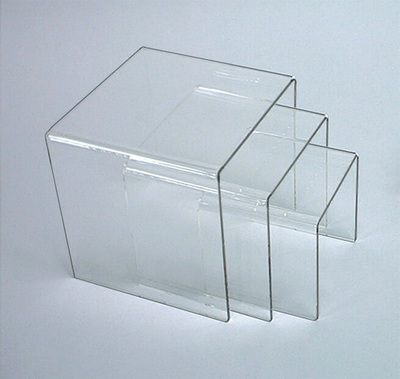 3/16" Riser Set: 4", 5" and 6" in clear acrylic, 3/16" thick. 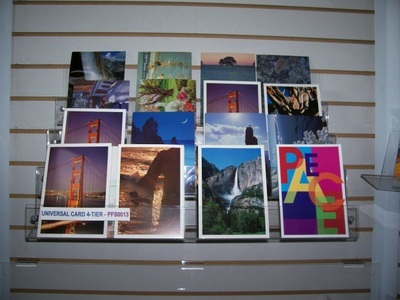 Available as a set or individually. 'T' Easel - available in clear acrylic - large is 11" tall x 8.5" wide; small is 7" tall x 5" wide. 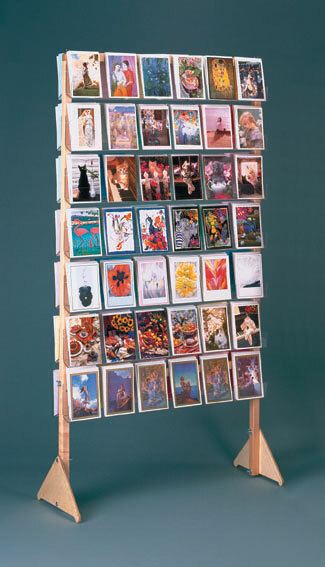 Countertop Gift Card Display with 24-pockets, or "faces" to display many cards easily. 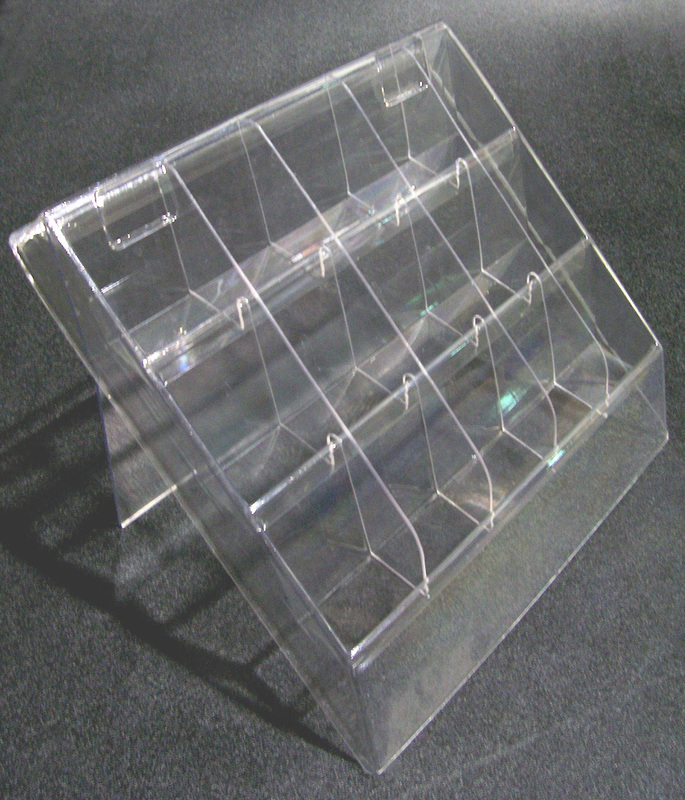 44-pocket Gift card floor spinner - available for 88 faces too - maximum cards for minimum space. 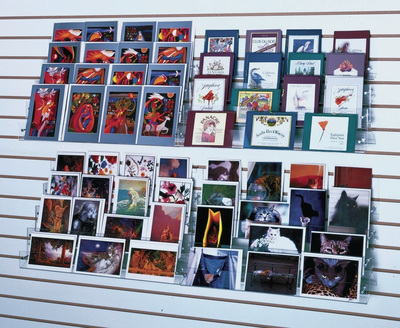 Showoff - 8 different sizes for cards, calendars, etc. 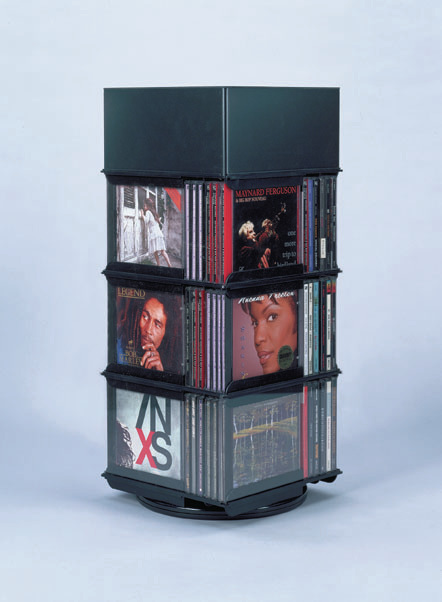 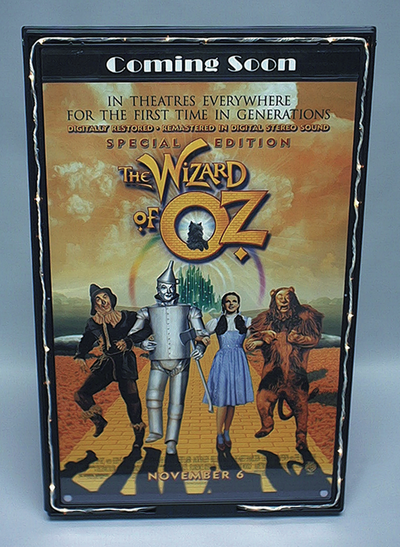 - wood frame with clear acrylic racks - 2, 3 and 4 feet wide, all 68" high.